We carry all of the most common sash colors and will work with you to match your color scheme. Our chair covers fit standard banquet style round top chair covers. These are the most common chairs that you will find at banquet facilities. 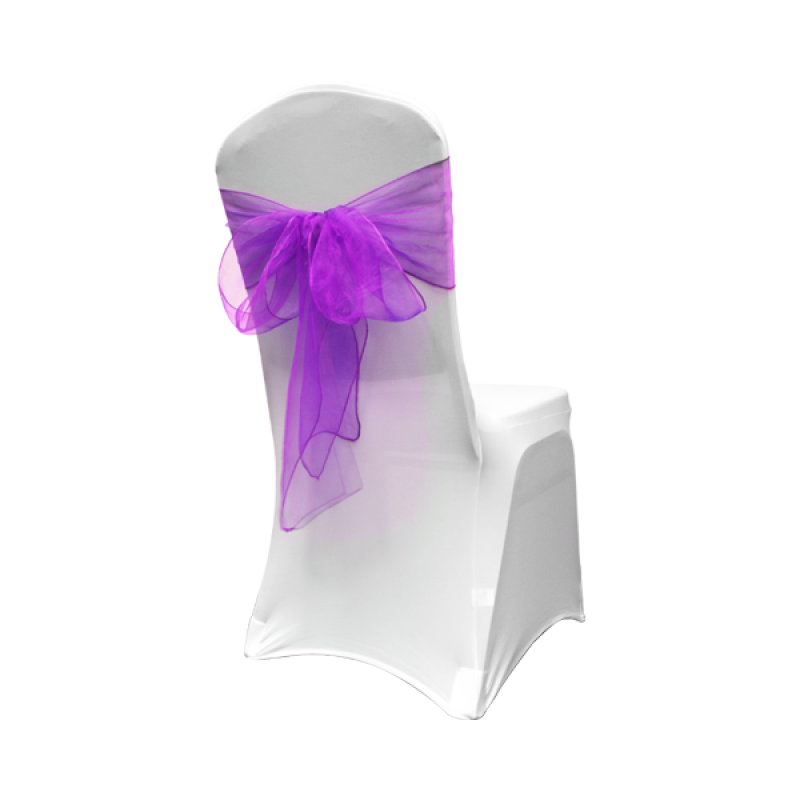 We provide white or ivory chair covers with a satin or organza sash. This service includes the setup and removal of the chair covers and sashes at your event venue. The fee includes a free consultation meeting or phone call to match the event colors and linens. For those who choose the Do-It-Yourself approach, we do provide a rental only service. This service still includes the consultation, but does not include set-up and take down. You will be able to pick-up the desired chair covers and sashes two days prior to your event and they will need to be returned within 24 hours after your event. Same as our DIY service. but for clients only requiring sashes. This service still includes the consultation, but does not include set-up and take down. You will be able to pick-up the desired sashes two days prior to your event and they will need to be returned within 24 hours after your event. Exquisitely Covered offers chair cover services in the Pittsburgh area, perfect for any occasion.